The year is 1928. 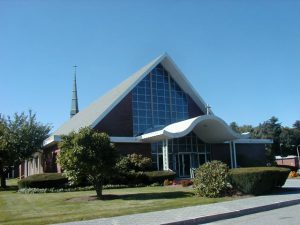 St. Mary's, located on School Street in Waltham,is ministering to a great part of Waltham including the area situated at the North of the city, bordering Lexington and Belmont. That area has been seeing an increase in population. Within that geographical area are also located a number of establishments catering to the needs of the sick and the aging population. It was the mission of St. Mary's to minister to those. Father James Baxter, pastor of St. Mary’s Church, saw the need for a new parish in Waltham in order to fulfill that mission. On January 4, 1928, he bought a lot on the corner of Trapelo Road and Bow Street. A new church was built on that lot. This new church was situated near three hospitals, Middlesex County Sanitorium, Metropolitan State Hospital and the Fernald School. These institutions were the reason the name was given to the new church. Cardinal William O’Connell, Archbishop of Boston, said that an appropriate name for the church would be Our Lady Comforter of the Afflicted. 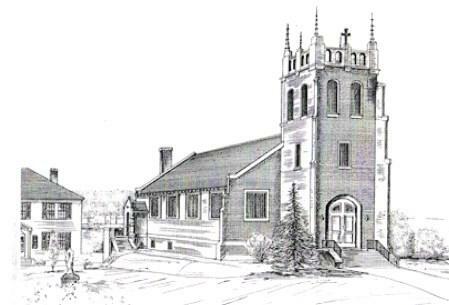 The parish was officially established on April 22, 1930. In 1956, Father Edward Harrington became pastor of Our Lady Comforter of the Afflicted and served until 1973. In 1957, Eliza Reed and Mr. and Mrs. Matteo Grillo made a donation of land across Trapelo Road from the old church and rectory. 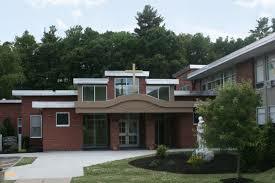 Father Harrington had a vision of a new and larger church and a school to be built on the land. 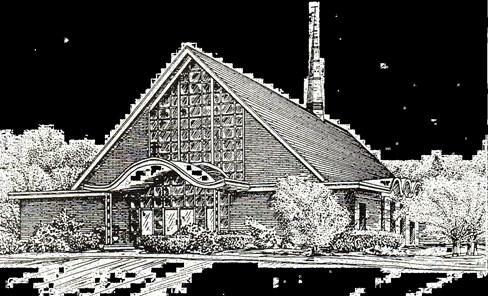 On June 7, 1962, the parish obtained a permit to build a new church! The church was completed in 1963. 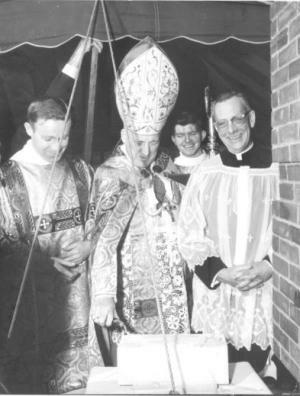 Cardinal Cushing, Archbishop of Boston, consecrated the new altar to the Holy Family on September 13, 1963. He enclosed in the altar the relics of the holy martyrs, Agatha and Victoriana. The old church was demolished after that, at the location where now stands the magnificent Cross. The construction of the new school building and the church hall began on October 1, 1963. The Sisters of Notre Dame would staff the school. They also made their convent over the school. The school would be a Kindergarten to Grade 8 elementary school with the possibility later to build a high school. of the new church, 1963. The Tree of Knowledge logo was created by Betty Collins, the principal in the mid 1980’s. It has well represented the true spirit of “being rooted in Christ” here at Our Lady’s school for nearly 25 years! In 1999, we broke ground on the new addition. 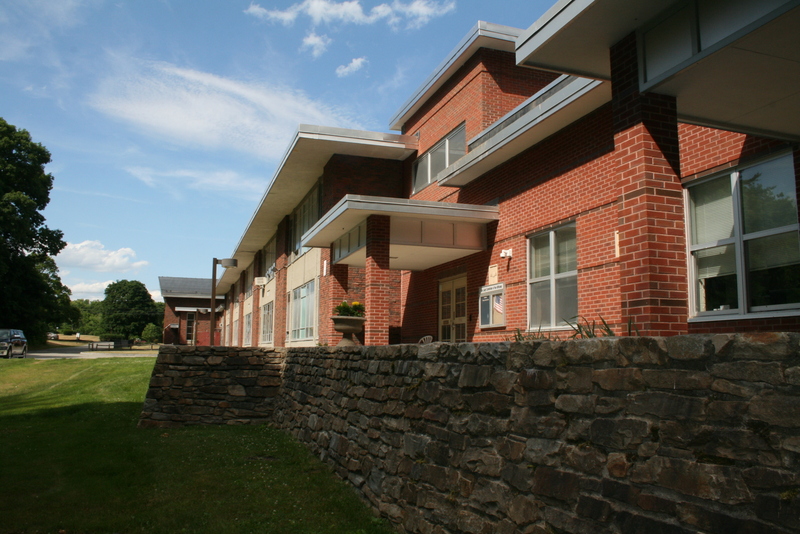 In September, 2000, the new addition was opened boasting new classrooms, a science lab, music room, chapel, and parish offices. In 2006, Chandra Minor became the new principal. The school then received donations for a new computer lab and SMART Boards. All the text books were updated to the latest copyrights. New programs such as Spanish in every grade, and Pre-K, have opened up our school to more families in the parish and from the community. In 2008, Father James DiPerri became our pastor. Since then an emphasis on prayer and working together through the intercession of Jesus Christ has brought a new understanding of our Catholic responsibilities to the parish and to our community. In 2009, Our Lady's School changed its name to Our Lady's Academy to reflect the academic excellence and improvements to the curriculum. The academy was evaluated by a team of seven individuals from all areas of the educational field ranging from assistant superintendents to teachers and by members from the business community. In 2013, due to increased enrollment, the need for improved safety and security, and the need for more space for parish and school meetings, an extension to the school building was proposed. Two classrooms were built on the second floor of the School one for music and the other one for science. They were inaugurated in 2016 (2017?). Cardinal Sèan O' Malley will give its blessing during his October 2017 visit, during which visit he also blessed the other improvements made to the church and to the grounds. The parish has continued to grow at an amazing rate.